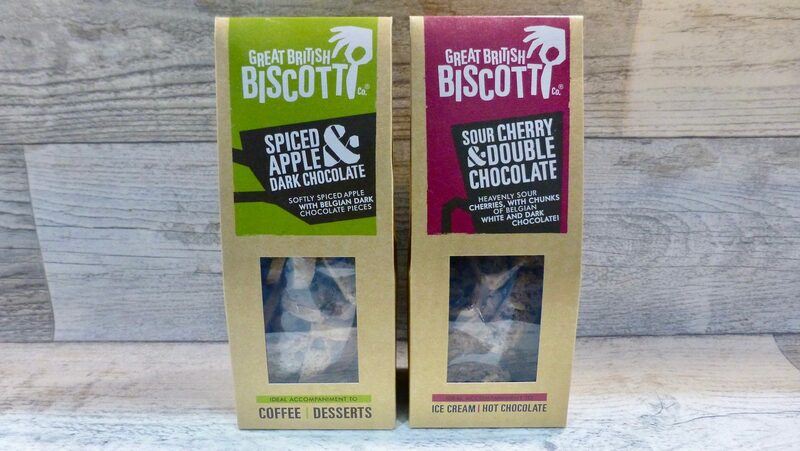 When in need of a good Biscotti look no further as Great British Biscotti Co Spiced Apple and Sour Cherry and Double Chocolate is today’s focus. Christchurch is the home to Great British Biscotti Co where a small team of artisan bakers are giving this twice baked Italian nibble more life. 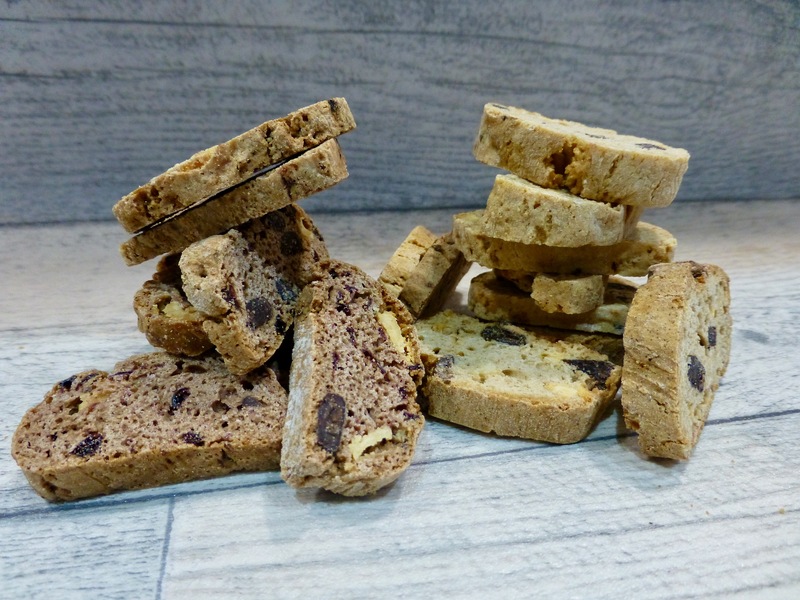 With an accolade of awards that are well deserved, Great British Biscotti Co have a whopping TWENTY varieties in both sweet and savoury flavours. It’s become impossible to choose a favourite flavour however I do tend to lean more on the sweeter side of things. Mostly available in farm shops in the Dorset area these have been creeping up into Surrey which is exciting. There are also a limited range on Ocado, Amazon and Not on the High Street for those who haven’t seen them in shops. Chocolate, chocolate and more chocolate, where would we be without it? Although the chocolate is in abundance the spiced apple is certainly the star of the show. With a warming hum of cinnamon the balance between this, the apple and the chocolate is spot on. Not really one to pair chocolate with cinnamon, it is surprising how well this goes together and has quickly become one of my favourites. With a darker chocolatey hue, Sour Cherry and Double Chocolate was the one I was most looking forward to. Chocolate and cherry are life long flavour partners, so naturally this was going to be a match made in heaven. Chocolatey this was, which wasn’t surprising and I like the white chocolate chunks, it just makes the whole biscotti that little bit lighter. The cherry was prominent, and when you got a squidgy bit it was an utter delight. It’s hard to say which one I am loving more because I finished both packs ages ago! It think if we are going on consistency of flavours then it has to be Sour Cherry and Double Chocolate. The combination of cinnamon, apple and chocolate is a golden but the cinnamon wasn’t detectable in every biscotti. If you fancy reading my earlier reviews of their original sweet and savoury flavours then you’ll find them here and here. *These were gifted with no obligation for a review.